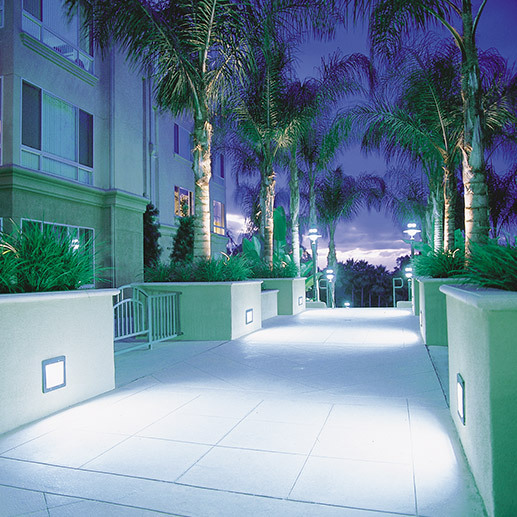 This elegant residential complex in Newport Beach, California, illuminated the pathways with the CP Series, low-level floodlights. The lighting along the walkways helps to ensure safe passage and provides a feeling of security for this gated, luxury apartment community. Fixture glare is kept to a minimum because of the unique, regressed lens.